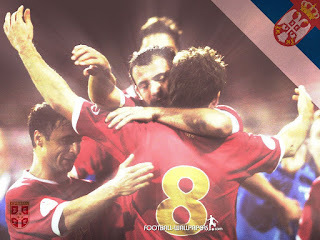 Serbia always have a good team. The problem is, before every competition (I mean Euro or WC), public and domain press declare us as favorites from the shadow and put semi-final as a target. Which is usually unrealistic, of course. Huge disappointing was following. This time was the same. But we lost against probably the worst team in SA, New Zealand and played, for our standards, poor game vs. Poland. Pressure is decreasing and it looks like “Raddy” Antic’s mind game, more than real crisis. And even players support that. Ivanovic criticizes team’s effort (which is unusual from him to criticizes anything but himself), Vidic talks about international retirement (bad timing at least)… No, I can’t believe in all that showing. Last friendly is Cameroon at home. Another bad result could (seriously) damage a self confidence. Impressive win would irritate journalist to write rubbish again. So, my pick here is Serbia to win with a goal difference (@ 3.60 bet365). We have very good team once again. Who have better defense line than us? Kolarov-Vidic-Subotic-Ivanovic. One of the best, anyway. Midfield with Stankovic in the center and Krasic/Jovanovic on the wings looks very dangerous. Different variations in attack with 202cm Zigic (new Birmingham acquisition) in every of them. Yes, I’m sure we can make a trouble to any side in SA. The weakest link is goalie. If Stojkovic performs just decent, we could be the biggest surprise down there. Otherwise, he could bury us easily. Differently from other occasions, we finally look like a team. No spoiled stars, they really play for each other. Group. Ballack was a heart and the soul of German team (same with Essien and Ghana). New skipper is Lahm?! He could be a captain, but he’s not a leader. Schweinsteiger? C’mon. Also, I don’t think Klose feels fine for being overlooked. Managers. Antic, although I don’t like him too much, is a big name. He was coach of Real Madrid, made a great success in city’s rival Atletico, was in charge in Barca and I think it’s fair to say he’s one of the better managers at WC (top 10 I’d say). His German opposition is… To be honest, I don’t rate even Klinsmann to high and his pupil? Ghana’s manager is, let me remind you, Serbian Rajevac. Australia won’t hurt anybody. My gamble here is Serbia to be first in the group - 3.75 at Ladbrokes (was 4.50 somewhere grrr…). And who knows. If we finish 1st, we’d face USA and El Pibe’s Argentina. Semi-final won’t be impossible then. Serbia to reach semi-final is 9.00 at Ladbrokes. For the end. We’re well known with our big failures. If you don’t like us, consider to take Serbia to finish 4th in the group @ 4.3 Sportingbet.